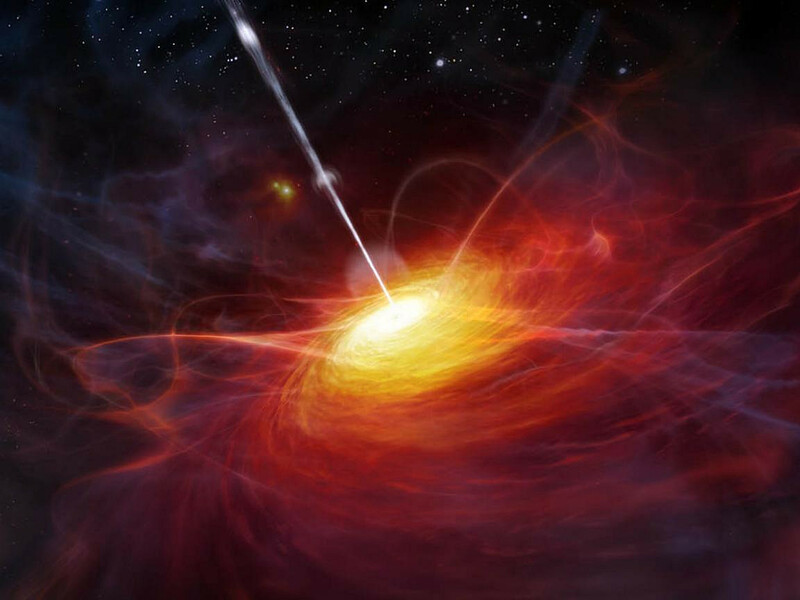 This is an artist’s impression of a very distant quasar. Illustration credit: ESO/M. Kornmesser. You can never predict what treasure might be hiding in your own basement. 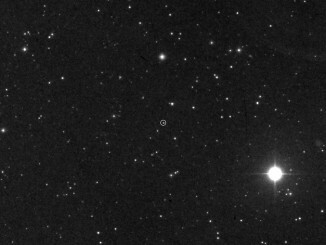 A researcher looking for a spectrum of a white dwarf known as van Maanen’s star found a 1917 image on an astronomical glass plate from the Carnegie Observatories’ collection that shows the first-ever evidence of a planetary system beyond our own Sun. 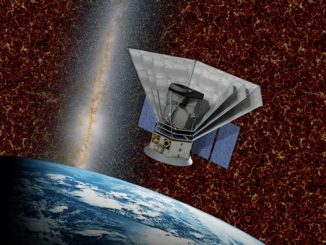 NASA has approved construction of a spacecraft to carry out all-sky spectral observations to learn more about the evolution of the universe. 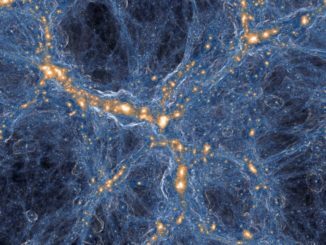 Astronomers have found only the third example of a fossil cloud made up of material generated in the Big Bang that’s not “polluted” by heavier elements cooked up in supernova blasts.